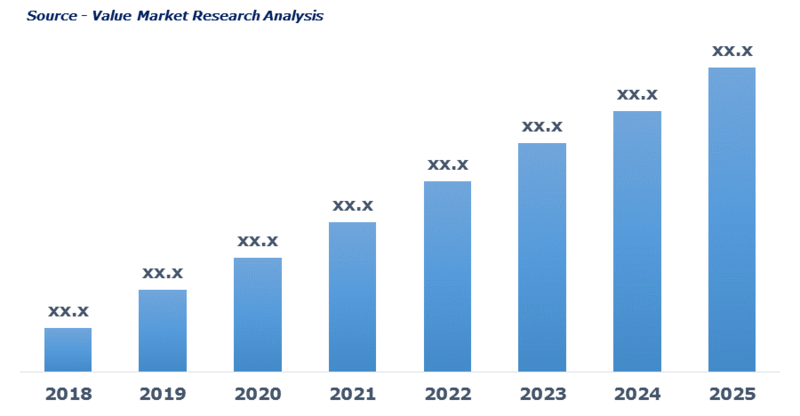 As per this study the Global Environmental Remediation Market was valued USD 86.0 BN (by revenue) in 2018 and is anticipated to reach USD 142.7 BN by 2025 with a CAGR of 7.5%. Environmental remediation is a step to reduce radiation exposure, for example, from contaminated soil, groundwater or surface water. Its purpose is to eliminate radiation sources, protecting people and the environment against potential harmful effects from exposure to ionizing radiation. The rising concern over environmental protection and increasing applications of environmental remediation in order to remove toxin or pollutants across various end-user industry such as oil and gas, automotive industry, forestry, and mining, etc. are driving the environmental remediation market growth. In addition to this, growing government initiatives for environmental protection along with the ongoing industrialization across the globe is further expected to propel the market growth. On the flip side, high installation cost of heavy tools for excavation coupled with the slow implementation of environmental protection regulations is expected to curb the market growth. This detailed market study is centered on the data obtained from multiple sources and is analyzed using numerous tools including porter’s five forces analysis, market attractiveness analysis and value chain analysis. These tools are employed to gain insights of the potential value of the market facilitating the business strategists with the latest growth opportunities. Additionally, these tools also provide a detailed analysis of each application/product segment in the global market of environmental remediation. The broad environmental remediation market has been sub-grouped into environmental medium and application. The report studies these subsets with respect to the geographical segmentation. The strategists can gain a detailed insight and devise appropriate strategies to target specific market. This detail will lead to a focused approach leading to identification of better opportunities. Furthermore, the report comprises of the geographical segmentation which mainly focuses on current and forecast demand for environmental remediation in North America, Europe, Asia Pacific, Latin America, and Middle East & Africa. The report further focuses on demand for individual application segments in all the regions. The report also covers detailed competitive landscape including company profiles of key players operating in the global market. The key players in the environmental remediation market includes Environmental Remediation Resources Pty Ltd., GEO Inc., Clean Harbors, Inc., Golder Associates Corporation, Brisea Group, Inc., Entact LLC, Dredging International, Environmental and Marine Engineering NV, Terra Systems, Inc., Newterra Ltd. An in-depth view of the competitive outlook includes future capacities, key mergers & acquisitions, financial overview, partnerships, collaborations, new product launches, new product developments and other developments with information in terms of H.Q.